Florida public schools are feeling the squeeze and asking taxpayers to fork out more cash to improve education. 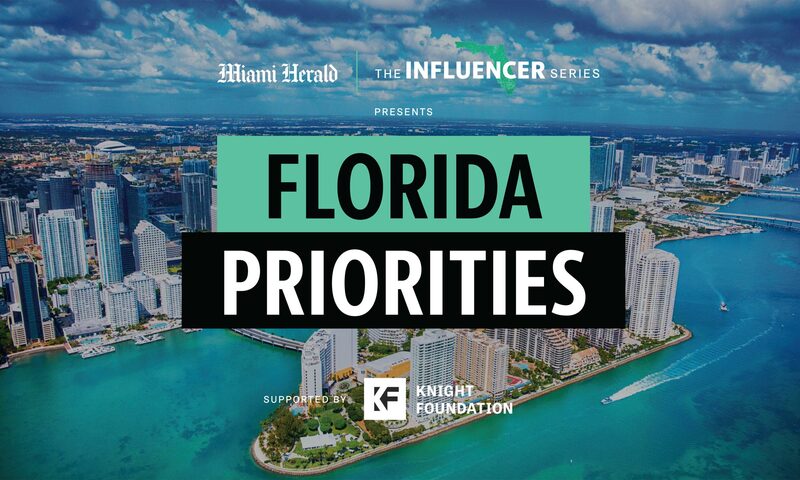 The most important resource to improve education is more money, said Florida Influencer Cindy Arenberg Seltzer at the Florida Priorities Summit in Miami on Wednesday. Arenberg Seltzer and a group of other influencers came up with suggestions on how to solve problems in Florida education. Fixing the public education system starts making sure state government funds it adequately and adds money from the lottery and other local sources as extra income, Arenberg Seltzer said. In Alachua County Public Schools, officials are passionate about finding more money to increase pay for teachers, fix up outdated facilities, provide additional school security and enhance mental health resources. The county’s school system took the problem of its outdated facilities into its own hands and passed a half-cent sales tax initiative in the 2018 midterm elections, according to the Alachua County Supervisor of Elections Office. Revenue from the tax could bring in $264 million over 12 years to invest in upgrades to school facilities, which are gearing up to start soon said Alachua County Public Schools Spokesperson Jackie Johnson. These include new classrooms and science labs, installing new furniture, lighting and flooring and overhaul school security. Lawmakers in Tallahassee cut facilities funding in Alachua by more than $168 million in the last 10 years, according to Alachua County Public Schools. More than 30 other counties in Florida have resorted to passing a sales tax to upgrade facilities, Johnson said. But facilities are just a start. Johnson said the state isn’t providing enough funding for many things they’ve implemented including recent school safety laws. “I think people need to elect people who are willing to invest in public education, because we don’t have that right now,” Johnson said. Alachua County schools also face the problem of a wide achievement gap between black and white students divided in east and west — with mostly black eastside elementary school students failing statewide exams and mostly white students passing exams in westside schools. Alachua’s public schools have the largest achievement gap in the 67 counties in Florida. The district revealed a plan in August to close the gap by tackling student achievement, advanced coursework, graduation rates, student discipline and diversity of the workforce. With three boys going to public schools in East Gainesville, Nicole Stewart, 47, said she feels the pinch in the equity gap. At Abraham Lincoln Middle School, where her 13-year-old son Nicholas used to attend, the school offers different hallways, newer computers and textbooks to its Lyceum magnet program, Stewart said. The same resources are not given to students not in the program said Stewart, a former Miami-Dade County Public Schools teacher. 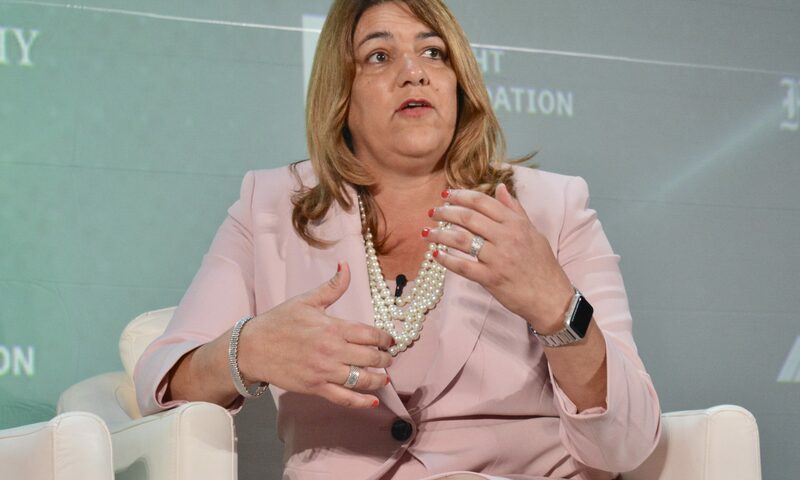 With a top eight public university and a local college in the neighborhood of Alachua students, Madeline Pumariega, a Florida Priorities Summit speaker and chancellor of the Florida College System, said more can be done by institutions to help close the gap. Institutions could expand funding of dual enrollment courses to help future students save money and finish college faster to enter the workforce, Pumariega said. University and college officials can also have talks with superintendents to work together to offer programs and services and educate students on college scholarships and pell grants. On a college level, Pumariega said the North Florida Community College has balanced graduation rates between students on and off Pell Grants. In South Florida State College, the gap between black and white students has also closed. Pumariega said these results come from efforts to put students on a guided learning path instead of bouncing around from major to major. “I think there’s a focus in making sure that all students succeed and that every student achieves,” she said.